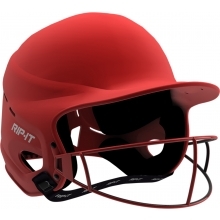 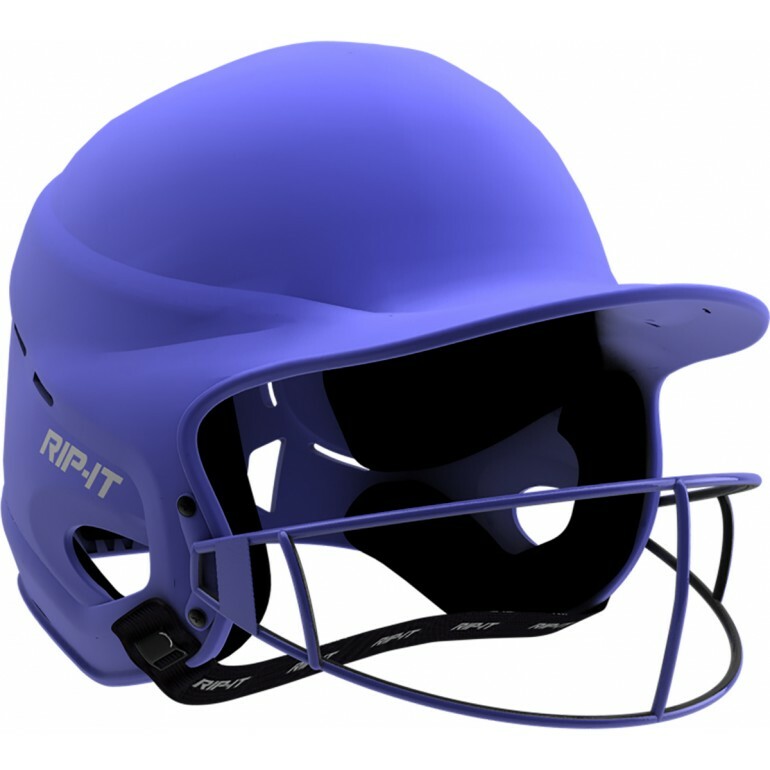 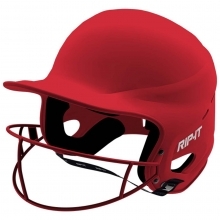 Fits head circumference 20-1/2" - 23-1/4"
Rip-It fastpitch matte batting helmets feature cutting edge Blackout Technology that eliminates 100% of the glare coming off the face mask due to the special coating on the bars. 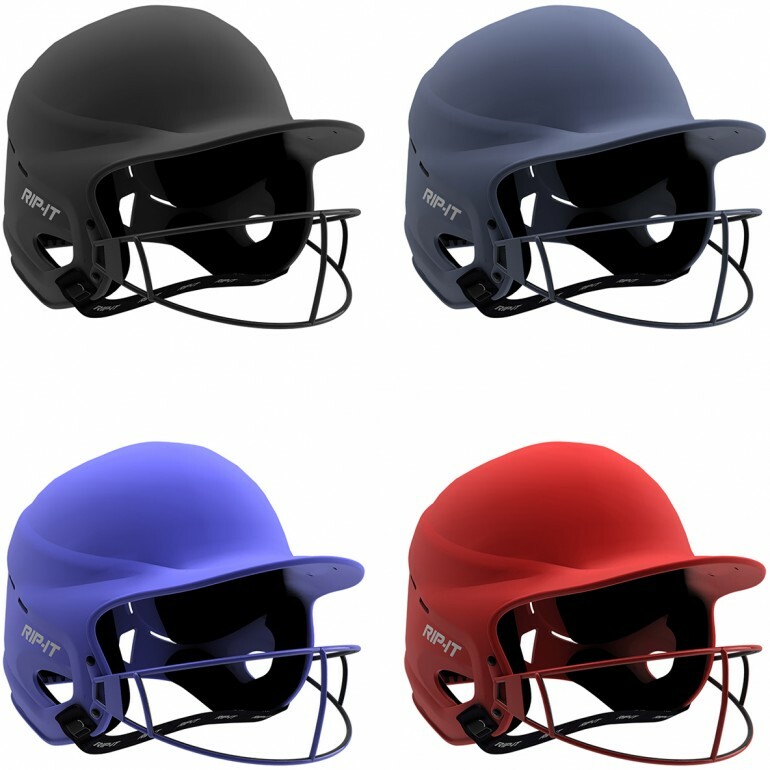 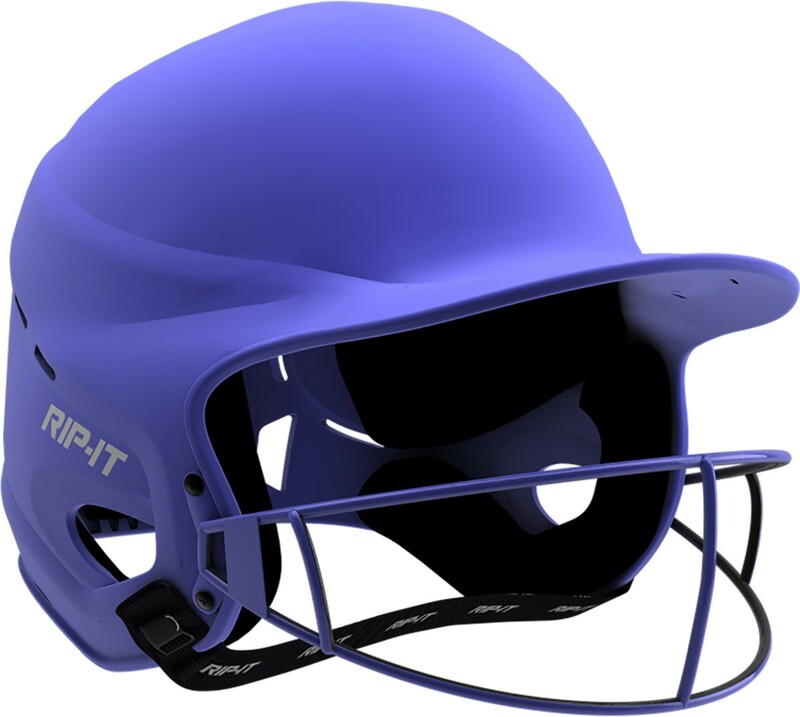 The face mask offers the best vision of any fastpitch batting helmet because of the exclusive panoramic design, which increases vision by eliminating bars that can affect peripheral sight. 21 air vents and moisture management wrapped pads help keep the player cool and dry.